GayTherapyLA associate clinicians are available for therapy for gay men on weekday mornings and all day weekends. If you’re looking for weekend therapy for gay men, we can help you. Ken Howard, LCSW is in the office weekdays (Monday through Friday), with day and evening appointments available. If you only want to see Ken, remember that employers in California are legally required to give you time off of work to receive “medically necessary” health services such as psychotherapy. But taking time off work on a weekday on a weekly basis sometimes just isn’t feasible due to commuting to and from Ken’s office in LA’s notorious traffic, or because of your particular job demands. Phone sessions and webcam sessions are available, too. 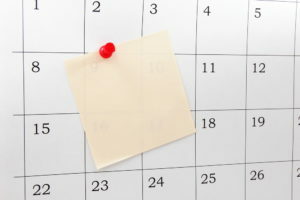 But if your schedule at work prevents you from coming to therapy during the weekday afternoons or evenings at all, GayTherapyLA is proud to offer counseling sessions on each weekday morning (from 8:00 am to 10:30 am) and all day weekends (Saturday/Sunday) with associate staff clinicians that include very qualified Master’s-level therapists (who are registered with the California Board of Behavioral Sciences). The Associate Clinicians are Matthew Allen, MA, APCC; Tanya Gaum, MA, M.Ed., AMFT; and Brandon Malde-Zoradi, AMFT, APCC. Matthew is an Associate Professional Clinical Counselor, and Tanya is an Associate Marriage and Family Therapist; Brandon is both AMFT and APCC. Matthew, Tanya, and Brandon offer sessions at somewhat lower fees than Ken, because they work under his employment and supervision until they are licensed to practice independently in California. Insurance reimbursement for sessions with Matthew, Tanya, and Brandon MAY be possible, as long as you have a PPO plan with out-of-network benefits (no HMO plans) who will reimburse for Associate Professional Clinical Counselors or Associate Marriage and Family Therapists, or Associate Clinical Social Workers. Many health insurance plans will vary on their coverage policies, and it is up to you to contact your plan to clarify your reimbursement eligibility. Receipts will be provided to you, but please check with your plan for information regarding authorizations, verification of out-of-network coverage, deductibles, co-insurances, and reimbursement policies. Matthew Allen, MS, APCC – 517-918-2657 – Registered Associate Professional Clinical Counselor (#4503) mrla2010@gmail.com I am a psychotherapist specializing in building self-esteem, resilience, and identity with mid-life women in Beverly Hills and the Westside. As a 2016 graduate of Siena Heights University with a Master’s degree in Clinical Mental Health Counseling, I provided psychotherapy for individual adult clients and co-facilitated support groups for women with anxiety and depression and gay men. I utilize evidence-based modalities including cognitive behavioral therapy (CBT), mindfulness, strength based, solution focused, and expressive arts, tailored to fit the unique background and goals of each client. I believe psychotherapy can be a transformative experience with the therapist guiding the client through exploration, awareness, expression, and actualization. As an openly gay man, I understand the challenges and importance of self-esteem, resilience, and identity in a healthy, happy, and fulfilling life. Tanya is an Associate Marriage and Family Therapist and an Associate Professional Clinical Counselor.She has been practicing clinical psychotherapy with individuals and couples for 10 years and she has worked within the fields of counseling, social justice, and community development for over 15 years. Her interest in these areas prompted her to pursue education and training in Vancouver and Toronto, Canada, as well as here in Los Angeles. Tanya worked as a psychotherapist in private practice from 2010 – 2016 in Toronto, Canada. Tanya earned a Bachelor’s Degree in Political Science from University of Victoria, which focused on stigma, power/oppression, and the politics of recognition. She also has a Master’s Degree in Counseling Psychology for Community and Educational Settings from University of Toronto and a Master’s Degree in Psychology with an emphasis on Marriage and Family Therapy from California Southern University. While in Toronto, Tanya completed a clinical counseling internship at York University’s Counseling and Disabilities Center. She also completed a clinical counseling practicum at Southern California Counseling Center, in Los Angeles. During her years in private practice, she has gained particular expertise for working with clients who identify as part of the lesbian, gay, bisexual, transgender/gender non-conforming, and queer (LGBTQ+) communities. She also has an affinity for woking with creatives, those embarking on significant life transitions, high-conflict couples, and those exiting or recovering from toxic relationships. Tanya employs techniques from a number of different counseling models and approaches, including: solution-focused brief therapy, narrative therapy, emotionally focused couples therapy, cognitive-behavioral therapy, and mindfulness-based therapy. Tanya understands how systemic oppression (e.g. racism, sexism, ableism, homophobia, transphobia) contribute to symptoms related to anxiety, depression, post-traumatic stress, and substance dependency. She approaches these issues by working with clients from within feminist, LGBTQ+-affirmative, and trauma-informed frameworks, which helps to facilitate the re-discovery of strengths and the courage to challenge oppression with empowerment, self-love, and confidence. Tanya offers individual and couples counseling for adults. Her fee is $185 per 50-minute session, with a few spaces reserved within her schedule for clients requiring a lower fee due to new or on-going financial strain. For more information, a free 15-minute consultation, or to book an appointment with Tanya, call/text 323-875-6674, or email tanyagaum@gmail.com. Brandon Malde-Zoradi, MA, AMFT, APCC (AMFT #101140; APCC #4151) is an Associate Marriage and Family Therapist and an Associate Professional Clinical Counselor. He received his Bachelor’s of Arts degree in psychology from Seattle Pacific University in 2015 and his Master’s of Arts in Clinical Psychology with Emphasis in Marriage and Family Therapy from Pepperdine University in 2017. 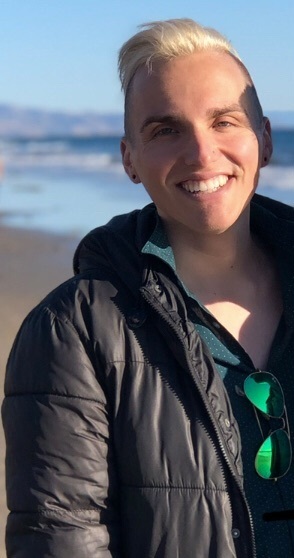 While in graduate school, Brandon worked with APLA (AIDS Project Los Angeles) and worked with clients on an individual basis focusing on topics ranging from depression, anxiety, internalized homophobia, trauma, and issues with relationships. Since graduating, he has had varied experiences working with high-risk adolescents in residential treatment centers, partial hospitalization programs, and intensive outpatient programs. Being a gay man with upbringing in a Christian community, Brandon has a passion for working with gay men who have grown up in a faith community and/or who are currently a part of a faith-based community and are experiences challenges of stigma and discrimination. Using techniques stemming from practices of Cognitive Behavioral Therapy (CBT), Dialectical Behavioral Therapy (DBT), Narrative Therapy, and mindfulness-based practices to help clients address and worth through challenges that focus on internalized homophobia, low self-worth, anxiety, and loss of relationships. He can be reached at (747) 217-2314 or email at bmaldezoradi@gmail.com.